Home > Questions > Can double chin treatment be used in other areas of the face to remove fat? 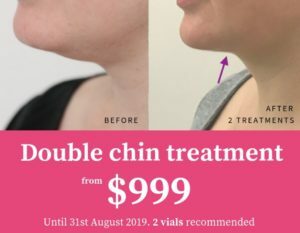 Can double chin treatment be used in other areas of the face to remove fat? In theory, yes – the double chin treatment could be used on other areas of the face but we wouldn’t recommend this. As we age we lose volume and using the double chin injections elsewhere on the face would deplete volume which we need as we age to keep looking young!